The state was renamed as Uttarakhand ("Northern land", the ancient historical name of this area) on 5/12/2006, created on 9/11/2000 as Uttaranchal, was formerly part of Uttar Pradesh, even earlier its south-eastern half — Kumaon — had a complex history of government. Prior to the capture of Nepal in 1791 in the territory of Kumaon there were independent principalities, in 1816 the territory passed under the control of the East India Company (it became part of India). Uttarakhand's name is derived from the Sanskrit words uttara meaning 'north', and khanda meaning 'land', altogether simply meaning 'Northern Land'. The name finds mention in early Hindu scriptures as the combined region of "Kedarkhand" (present day Garhwal, Northern-Western part of the state) and "Manaskhand" (present day Kumaon, Southern-Eastern part). Uttarakhand was also the ancient Puranic term for the central stretch of the Indian Himalayas. However, the region was given the name Uttaranchal (something between Uttar Pradesh and Himachal Pradesh) by the Bharatiya Janata Party led central government and Uttar Pradesh state government when they started a new round of state reorganisation in 1998. Chosen for its allegedly less separatist connotations, the name change generated enormous controversy among many activists for a separate state who saw it as a political act. The name Uttarakhand remained popular in the region, even while Uttaranchal was promulgated through official usage. 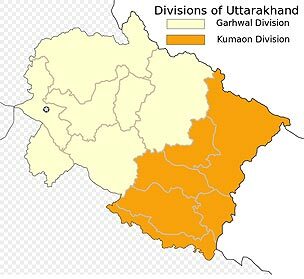 After a few years of struggle, including cases of self-immolation, in August 2006 Union Cabinet of India assented to the demands of the Uttaranchal state assembly and leading members of the Uttarakhand statehood movement to rename Uttaranchal state as Uttarakhand. Legislation to that effect was passed by the Uttarakhand Legislative Assembly in October 2006, and the Union Cabinet brought in the bill in the winter session of Parliament. The bill was passed by Parliament and signed into law by then President A. P. J. Abdul Kalam in December 2006, and since January 1, 2007 the state has been known as Uttarakhand. This newly created hill state has many of the holy sites of ancient Hinduism, and the best known hill stations. The ashrams of this region are probably some of the best known tourism destinations, including those of Rishikesh. Dehra Dun, a favourite hill resort, is home to a few prestigious Research Institutes such as the Indian Forest Research Institute and Institute of Advanced Research, and the famous Doon School. Historical sites of the state are the fort and temples of Champawat, once the capital of the Chand Dynasty, also known for its picturesque hillsides. This state is home to ‘char dham’ (four holy sites) of Hinduism, Badrinath, Kedarnath, Gangotri, and Yamunotri. ‘Panch Prayag’ (Five sites of confluence of rivers) of Devaprayag, Rudraprayag, Karnaprayag, Vishnuprayag, and Nandprayag; panch Badri (five abodes of Vishnu) of Adi Badri, Badrinath, Yogadhyan Badri, Bridha Badri, and Bhavishya Badri; ‘Panch Kedar’ (five abodes of Shiva) Madmaheshwar, Tungnath, Rudranath, Kalpeswar and Kedarnath; Joshimath, the winter home of Lord Badrinath; Haridwar where Ganga emerges into the northern plains. Rishikesh (or Hrishikesh) is famous as ‘world capital of yoga’. In Hemkund, according to Ramayana, Hanuman found the ‘sanjeevani’ herb, and it’s also a famous sikh pilgrim centre. The Beatles arrived in India in Rishikesh in February 1968, along with their wives, girlfriends, assistants, and numerous reporters. They joined a group of 60 people who were training to be TM teachers, including musicians Donovan, Mike Love of the Beach Boys, and flautist Paul Horn. While there, John Lennon, Paul McCartney and Harrison wrote many songs, and Ringo Starr finished writing his first. Eighteen of those songs were recorded for The Beatles ("the White Album"), two songs appeared on the Abbey Road album, and others were used for various solo projects. Starr and his wife left on 1 March, after a ten-day stay; McCartney left after one month due to other commitments; Lennon and Harrison stayed about six weeks, then left abruptly following financial disagreements and rumours of inappropriate behaviour by the Maharishi. Harrison later apologised for the way that he and Lennon had treated the Maharishi, and he gave a benefit concert in 1992 for the Maharishi-associated Natural Law Party. In 2009, McCartney and Starr performed at a benefit concert for the David Lynch Foundation, which raises funds for the teaching of Transcendental Meditation to at-risk students. The most exotic spot is the ‘Valley of Flowers’. Almora, Bhimtal, Chakrata (2118 meters), Chamoli, Kausani (1890 meters), Chaukhutia, Mussoorie, Lansdowne, Lohaghat, Nainital, Narendra Nagar, Pithoragarh, Ramgarh, Sattal, and Ranikhet, are famous hill stations. Wildlife sanctuaries and national parks are Corbett named after Jim Corbett, and Rajaji.